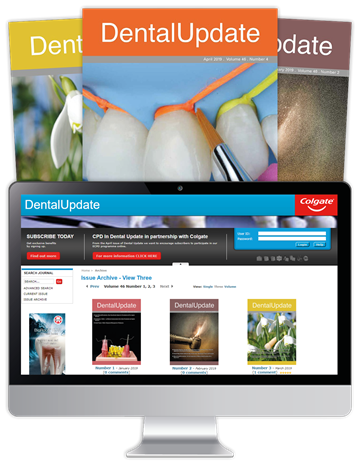 Dental Update is the UK’s leading peer-reviewed clinical journal for the dentist in General Practice. It helps GDPs face everyday challenges occurring in the surgery, offering practical and relevant solutions and keeping practitioners informed of innovative developments and clinical procedures. 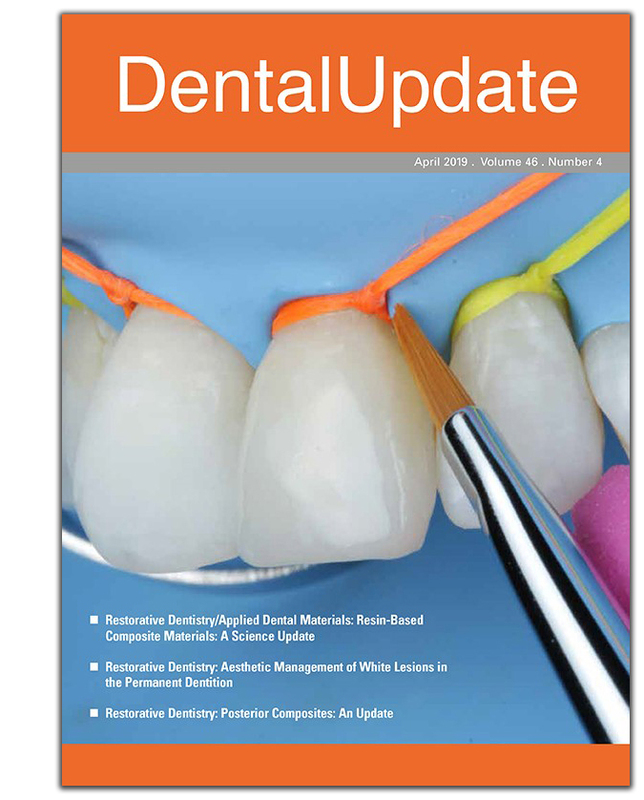 Dental Update is an invaluable resource, not just focusing on the complexities of restorative and preventative dentistry but also covering specialties including endodontics, oral surgery, orthodontics and periodontics, delivered in a clear and readable tone and written by experts in their field. 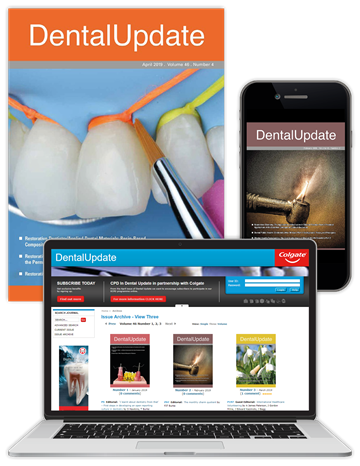 Subscribe now to receive 3 months for free AND a reduced price of £117 for your annual subscription. To claim this offer, please enter promotion code TDU003 at the checkout.